Jigsaw puzzle pieces serve as building blocks that allow children as well as adults to put together impressive pictures. Software engineers follow a similar approach to build complex programs. Since David Parnas' modularization conceptualization (Parnas, 1972), many kinds of software modules in the form of "building blocks" have been proposed and adopted. These include functions, objects, remote procedures, web services, cloud services, and microservices, to name a few. However, from a developer’s perspective, it is hard to achieve the exact requirements of end-users. Therefore, it would be useful to empower end-users with the capability to adapt a software product to their individual needs (Lapouchnian et al., 2006). Internet of Things (IoT) devices and services can be configured to work together in many different ways. This configuration can be performed by end-users and is considered an end-user development challenge. Millions of school kids nowadays are taught programming concepts using end-user development environments such as Scratch, which has also been adapted into the Sense environment used to teach entry-level computing at The Open University (Kortuem et al., 2013). Can't we use a similar environment to teach end-users to develop software for IoT? Akiki's recent research on Visual Simple Transformations (ViSiT) solves this problem by empowering end-users to wire IoT devices and services (Akiki et al., 2017). 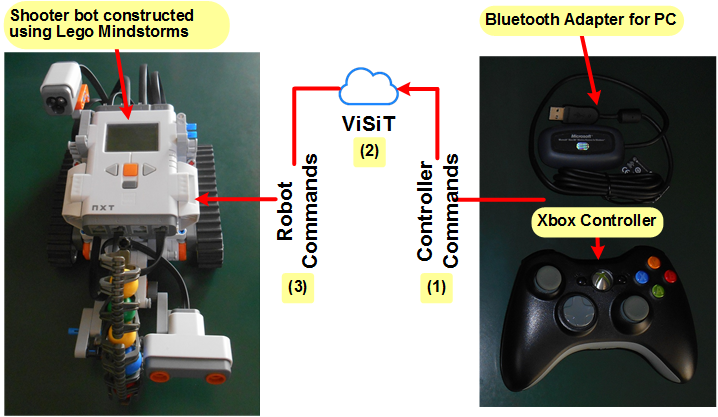 For example, end-users can use puzzle pieces to implement a transformation (Figure 1) that allows a Microsoft Xbox controller to communicate with a Lego Mindstorms robot. This paradigm is familiar to anyone who is used to programming with an environment like Scratch. Each puzzle piece is a visual block that connects to its neighbouring pieces in a similar way. Intuitively, puzzle pieces bind to each other through predefined sockets. The parameters of these building blocks provide the required concretization that matches with the configuration parameters of IoT devices and services. ViSiT’s underlying service-oriented code implements the transformations as executable workflows and composes them into a holistic application for IoT. Although this work primarily targets end-users, software developers can modify the executable workflows using Cedar Studio. 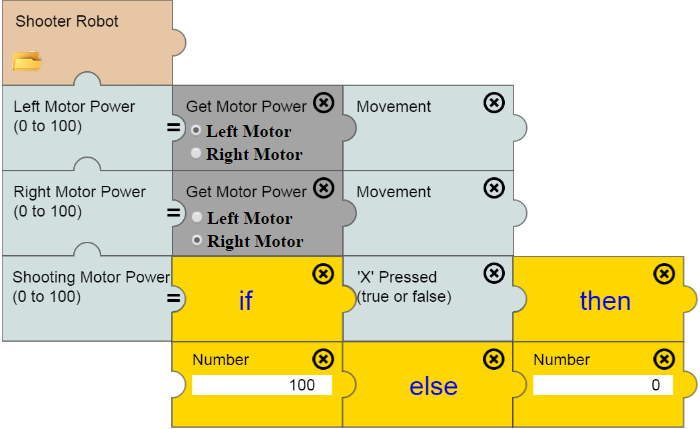 This tool was originally developed as part of Akiki's work on adaptive user interfaces (Akiki et al., 2016), (Akiki et al., 2014). 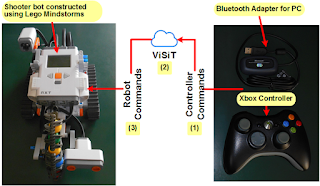 By empowering end-users and lowering the barrier for software development, the creation of real-life IoT applications such as the robot shown in Figure 2 comes within the reach of a wider audience. With the evolution of such development paradigms and their supporting tools, end-users will have an ever-growing role to play in software development. As the adoption of end-user development environments grows, someday the data learnt from these environments could be used to train artificial intelligence to automatically compose software systems. D. L. Parnas. 1972. On the criteria to be used in decomposing systems into modules. Commun. ACM 15, 12 (December 1972), 1053-1058. Alexei Lapouchnian, Yijun Yu, Sotirios Liaskos, and John Mylopoulos. 2006. Requirements-driven design of autonomic application software. In Proceedings of the 2006 conference of the Center for Advanced Studies on Collaborative research (CASCON '06), Hakan Erdogmus, Eleni Stroulia, and Darlene Stewart (Eds.). IBM Corp., Riverton, NJ, USA, Article 7. Gerd Kortuem, Arosha K. Bandara, Neil Smith, Michael Richards and Marian Petre. Educating the Internet-of-Things generation. Computer, 46(2) pp. 53–61 (2013).